This auction will be loaded with Vintage Marvel and DC comics including #1s and Key Issues, as well as rare comics from the Golden Age and Bronze Age. 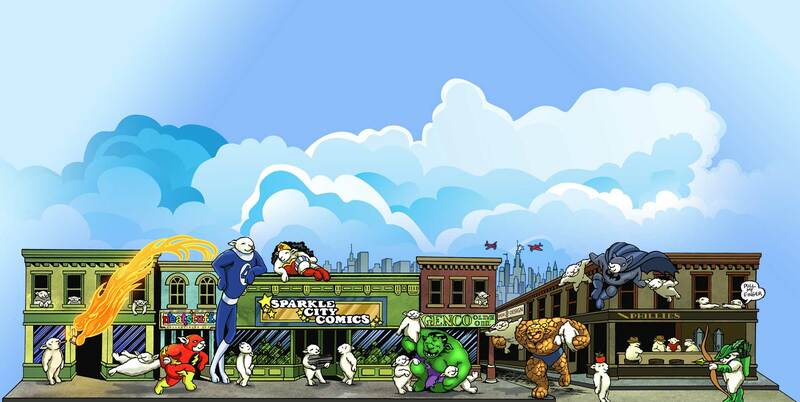 “Building off the success of our recent record-breaking auction, we are proud to keep bringing High End Rarities to the safest and most secure marketplace for collectibles, eBay” said Brian Schutzer, CEO of Sparkle City Comics. Batman is currently THE Best selling and most popular character to step out of four-color and into pop culture! Demand and interest in the Batman is meteoric, with no end in sight. Original copies of Batman #1 are extremely valuable in just about any condition. Sparkle City Comics is proud to present this Authentic comic book to their clients at No Reserve auction! Many nice 10c and 12c DC books. Sparkle City Comics is always buying comic book collections and is still accepting qualified consignments for this special auction. If you have any individual comics or an entire comic book collection you’re interested in selling, give Sparkle City Comics a call today at 800-743-9205.